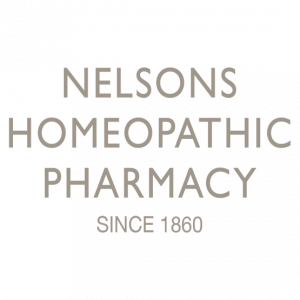 A homeopathic medicinal product used within the homeopathic tradition for the symptomatic relief of teething pain and the symptoms associated with teething which are sore and tender gums, flushed cheeks and dribbling. • Do not give this medicine to the baby if he/she is allergic to any of the ingredients. • Return any unused medicine to your pharmacist for safe disposal. • Keep all medicines out of reach and sight of children. 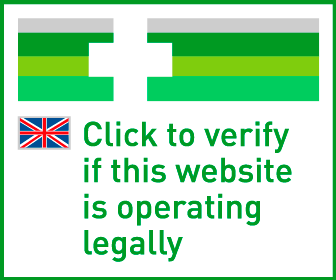 • Do not use after expiry date shown on carton and sachet. • Do not store above 25ºC. Store in the original packaging. For full instructions, read the enclosed leaflet before using the granules. For oral use. For babies from 3 months old. • Detach one sachet from strip of 4. • The baby should be upright or in a sitting position and the granules given slowly into the front of the baby's mouth, a little at a time. 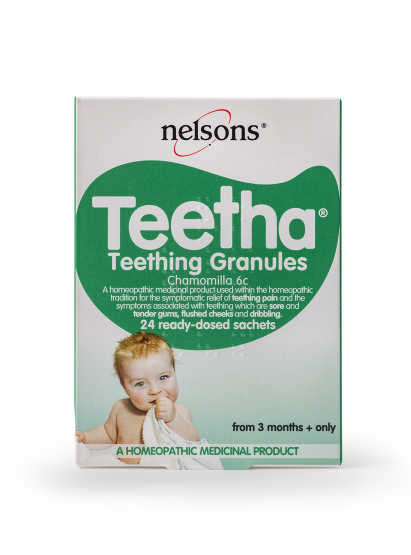 Ensure the granules fully dissolve in the baby's mouth. Babies 3-6 months a spoon should be used and half a sachet given at a time. Check all the granules have fully dissolved before giving the remaining half. Babies over 6 months the granules should be poured slowly into the baby’s mouth or a spoon may be used. • Use one sachet every 2 hours for a maximum of 6 doses during any 24 hour period. Do not use more sachets than the label/ leaflet tells you to. Consult a doctor or qualified healthcare practitioner if the symptoms worsen, or persist for more than 7 days or if any side effects occur. Each 300mg granules in a sachet contains:Chamomilla recutita (Chamomilla) 6c. Also contains lactose.